The first step to creating a course like this is to figure where it fits in the typical pathways at the college. 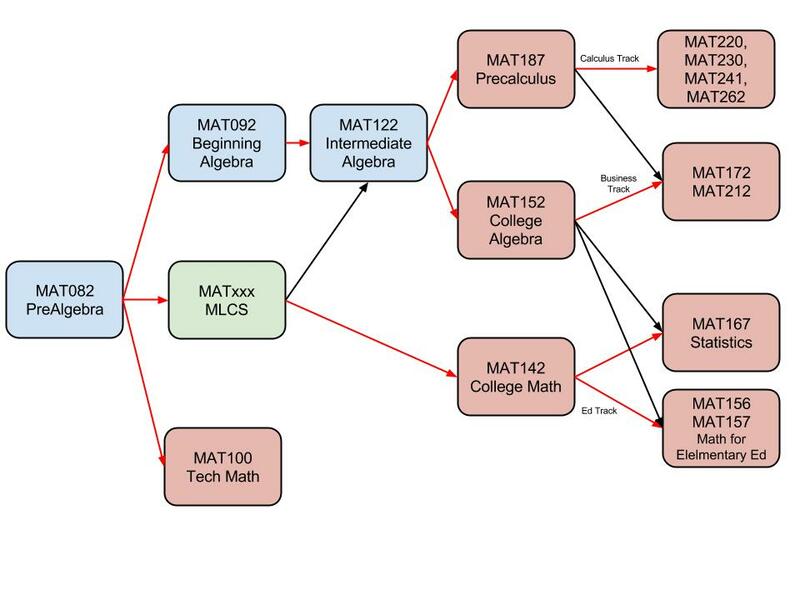 The diagram above show the courses at Yavapai College that students typically take to meet the mathematics requirements for graduation. Preferred pathways are labeled with red arrow. Courses that meet the requirements for various degrees are shown in pink. The proposed course shown in green will enable students to pass from Prealgebra to College Math in one semester instead of the usual two semesters. Similar courses in other states use the name Mathematical Literacy for College Students (MLCS), Quantway, and Foundations of Mathematical Reasoning. The course is in the early stages of development. Several sources of course materials are being examined. If anyone else in Arizona has a course like this or is in the process of developing a course like this, please contact Dave Graser (David.Graser@yc.edu) at Yavapai College. The YC faculty would love to hear what other community colleges are doing with alternate pathways and how they propose these courses will articulate with other community colleges.